Ladies and gentlemen, welcome to the 2018 Golden Gate Lotus Club Autocross season! Our first event will be held on Sunday April 8th at the usual Marina location. Registration is open for club members at MotorsportReg. Non-members will need to wait until next week to register. The entry fee is the same as last year, $65 for GGLC members and $75 for non-members. First time autox’ers (first time at a GGLC event) are eligible for a $10 discount, so invite your friends along too. For Lotus Elise/Exige/Evora drivers, please use the classification tool at to calculate your index points and your class to participate in. 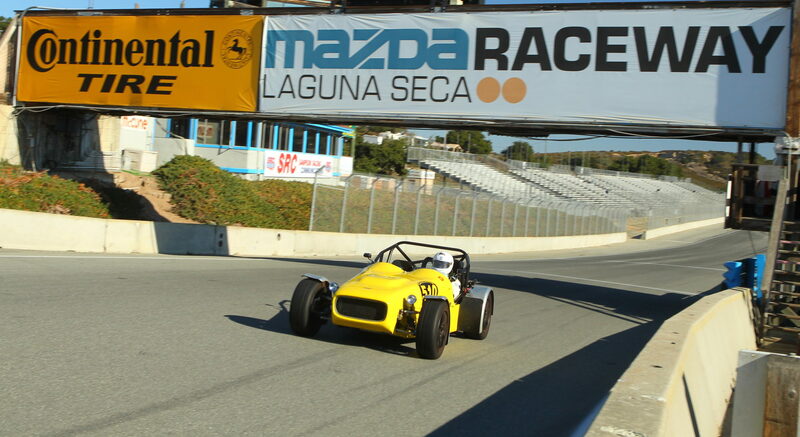 For non-Lotus cars, please use the appropriate SCCA class. hope you’re all having a good 2018 so far and are ready for some autox! As usual these are subject to change, although we don’t anticipate any. We’ll be opening registration for the April event in a couple of weeks, so don’t forget to register in time to avoid the wait list! Hope to see lots of familiar faces. Newcomers can join in too so let all your friends, coworkers, relatives, etc. know that they are welcome. Ladies and gentlemen, welcome to the 2017 Golden Gate Lotus Club Autocross season. Registration is limited to club members for the first week. Non-members will be able to register next week. The entry fee is $65 for GGLC members and $75 for non-members. First time autox’ers (first time at a GGLC event) are eligible for a $10 discount, so invite your friends along too. For Lotus Elise/Exige/Evora drivers, please use the classification tool to calculate your index points. For this season, 0-8 points will place you in the Mild class, 9-16 points will place you in the Moderate class, and over 17 or over points will place you in the Extreme class. For non-Lotus cars, please use the appropriate SCCA class. You can like us on Facebook and check out our event videos (you might see yourself) on Youtube. The 5th event of the season is now open for registration for GGLC members via MotorsportReg.